If necessary use the "arrowhead" formed by γ, α and β Cas to point you to the right part of the sky. 1. 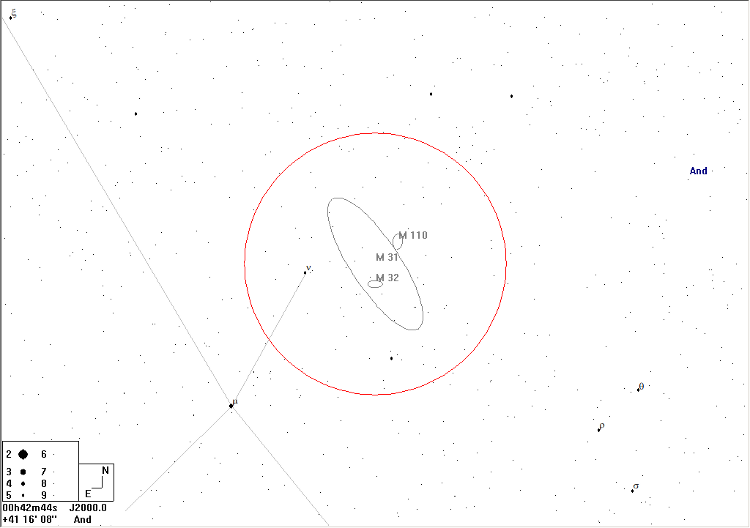 Locate the distinctive 2nd magnitude yellow star β And (Mirach). Place it near to the SE edge of the field of view and find μ And to the NW. 2. 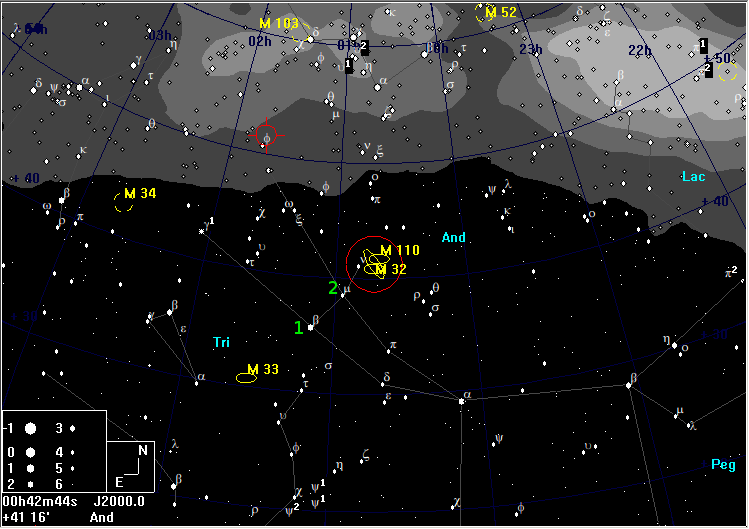 Place μ where β was and M31 should lie where μ was. You should be able to see the elongated elliptical shape of M31 which, with patience and dark skies, extends across the central half of the field of view. Notice the brighter glow of the nucleus of the galaxy and how the light of the galaxy drops off slightly more abruptly to the NW, as a consequence of the dust-lane there. 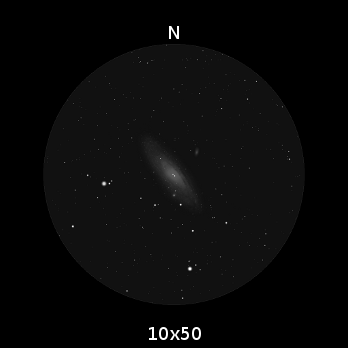 Under good skies, you should be able to make out the two companion galaxies, M32 (NGC 221) and M110 (NGC 205). M32 lies to the south, appearing as a large fuzzy star in a 10�50 binocular, making a right-angled triangle with two 7th mag stars. M110 lies to the NW, also appearing as a fuzzy star. These companion galaxies may require averted vision to tease them into visibility.